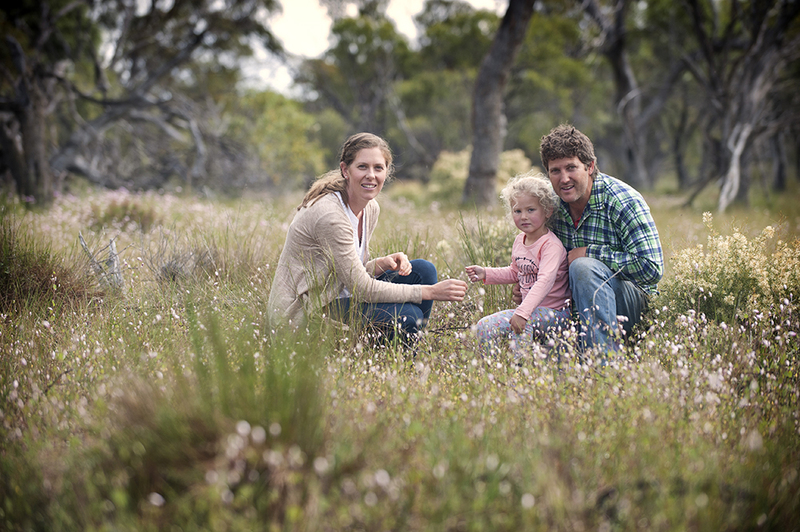 Quairading’s Ben and Emma Wilson are one of 49 farming families to benefit from the latest round of funding for the region’s environment. The couple will use their grant of more than $18,000 to fence and protect 56 hectares of remnant woodland and for feral animal control on their Quairading farm. Natural resource management group Wheatbelt NRM will manage the roll out of $550,000 as part of the Australian Government’s National Landcare Program. For the third generation farmers it will give them the support they need to protect fragile bush land. “This kind of support has helped us to protect two pieces of valuable remnant bush land and a re-vegetated creek line on our property,” Emma Wilson said. “We plan to build nearly seven kilometres of fencing to protect this bush land from both livestock and feral animals. “The area is home to native species including wildflowers, eucalypts, acacias, everlastings and orchids. “We also know we have echidnas, tawny frogmouth owls, hawks and lizards. Natural resource management group Wheatbelt NRM will work with the 49 landholders from areas including Goomalling, Yilgarn, Brookton, Lake Grace and Merredin. The group’s program manager for Biodiversity Rowan Hegglun said more than 210 kilometres of fencing will be rolled out to protect bush land. “Through this program we’re also working with the community across 23,000 hectares coordinating trapping and baiting to control rabbits, foxes and cats.